Thanks to EverRatchet's Dynamic Ratcheting Beam you can turn large fixes into small fixes since you don't need to lift and reset the tool between each turn. Its dynamic ratchet beam stays rigid when rotating the bit but when you go to reset the tool it flexes out of the way allowing the tool to rotate around the bit. 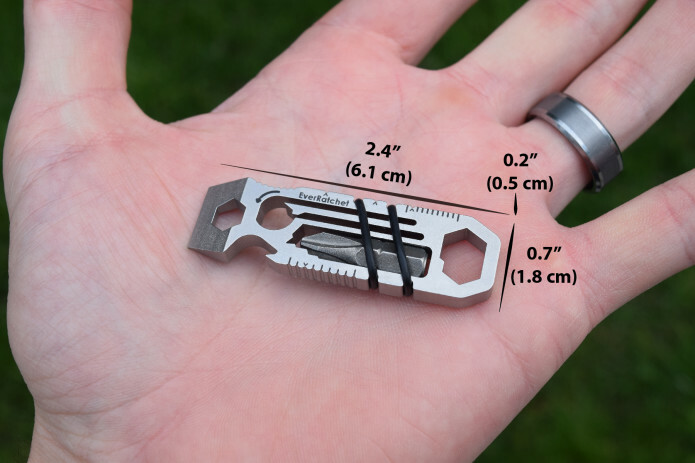 This avoids the issue seen on other small carry tools where you are required to lift and reset the tool each time, making them impractical for those larger fixes or where you don't have visibility to the object being tightened. 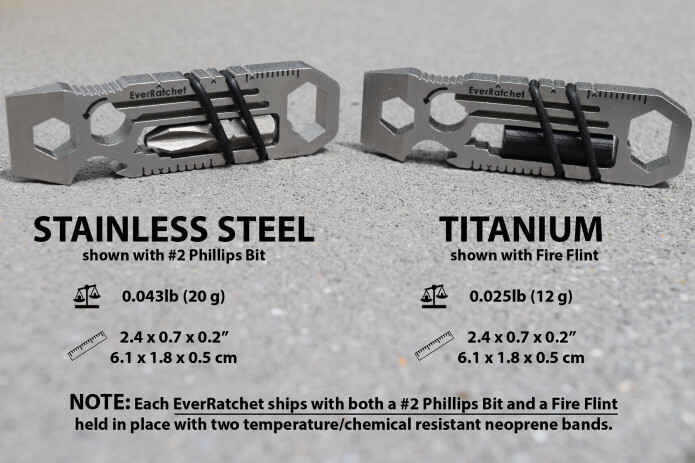 EverRatchet's dynamic ratcheting beam stays completely rigid when rotating the bit but when resetting the tool it flexes allowing the tool to rotate around the bit. This amazing ratchet makes this a one size fits all tool for any project and is a much-needed feature when you are working with limited visibility or space. Let's get ratcheting! Watch those bits spin, forever! Recently received my EverRatchet and am blown away by the quality. Usefulness only limited by my imagination. Quality. Quality. Quality. - Dave C.
Click Click Click…I don’t know how I got by without one of these before, already helped me open a couple of boxes & adjust my brakes and bars, and take a seat off my bike. - Tim R.
Took my gold one with me to the woods this weekend, used it to make small screw adjustments to the mountain bike and to open that much-needed beer at the end of the day. - Paul W.
I got it yesterday and it's already come in handy, I'm an appliance technician and the front panel of a washing machine was blocked by uneven flooring. The head of my go-to quarter-inch ratchet was too far but the EverRatchet fit just right! Thanks guys! - Michael B.
I got mine today! Every every bit as advertised and then some! - Anand J. 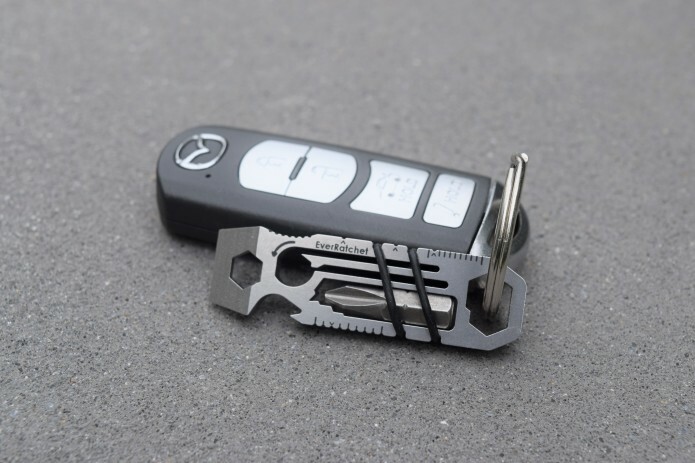 Tiny, clever, rugged and practical! You've done it again. - Dean W.
Nice feel in the hand, nice construction. Laser engraving is sharp and good looking. - Samuel S.
Excellent quality. I've already used it 3 times since I got it. 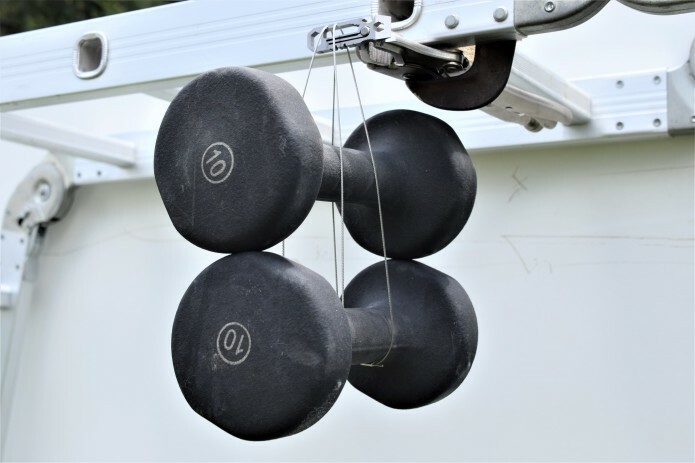 I just have to remember all the things it can do Lol - Daniel M.
How much force can EverRatchet handle? Shown below is a Stainless Steel EverRatchet holding 20 in-lbs on its dynamic ratchet beam (20lbs, 1 inch from the center of rotation)! Thanks to the ratchet beam design, it is extremely strong down its length but flexes out of the way with some satisfying click action when you go to reset the tool. Got stubborn or rusty bolts? 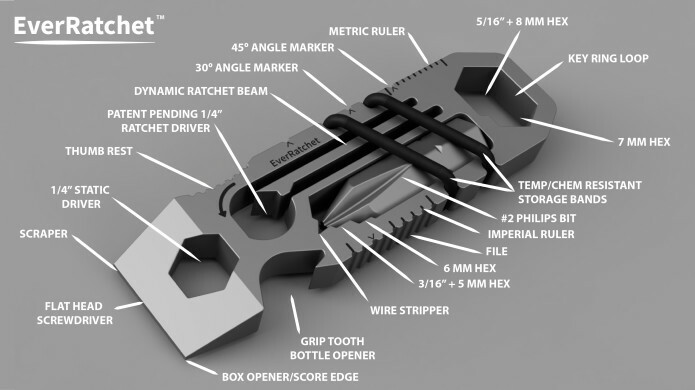 Use EverRatchet's static 1/4" wrench feature to break the bond and then swap over to the ratchet to complete the task! 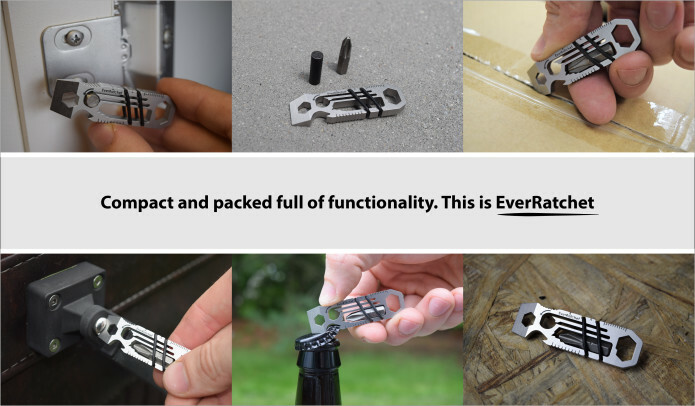 EverRatchet will be cut from a solid sheet of Stainless Steel or Titanium using EDM (Electrical Discharge Manufacturing). This manufacturing method uses a computer controlled machine to pull an electrified wire through the sheet of metal resulting in very precise components. We have improved our products surface finishes over the past year to make them more and more scratch resistant. EverRatchet will be featuring our latest glass and polymer applied finish to keep it nice and new every time you reach for it.